I know, you were expecting someone else. Before you click away though, consider the fact that my view of Unsung Heroes is significantly less positive than our dear leader’s. I may have multiple scout badges for setting up tentes de pantalones, but Ensiferum will receive no easy treatment from me. Until now the Finns proved largely exempt from the Law of Diminishing Recordings™. UH may have polarized the metal community, yet in my estimation, an inability to execute on lofty goals, not a weakening sound, purpled that particular nurple. 2015’s One Man Army proved as much. Still, time marches on, and Two Paths proves no one is above the Law. 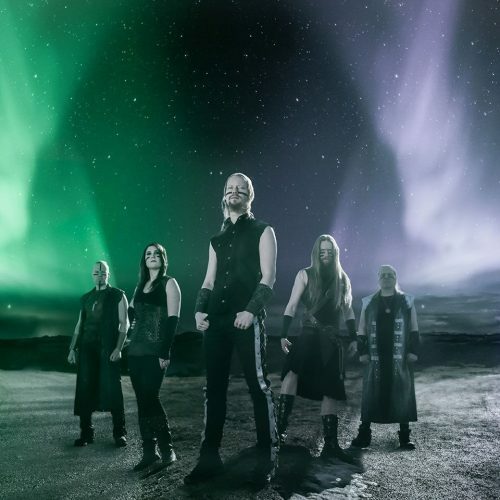 Ensiferum‘s trademark riffing on display, opener proper “For Those About to Fight for Metal” meets its orchestral backing at the door, sing-along gang choruses and a predictably boisterous approach in tow. Given Ensiferum‘s popularity and the stock nature of the track, ladling on standard descriptors and platitudes seems like a waste of time. Triumphant. Rollicking. Raucous. You know them all. Truth is, this song would fit snugly on any Ensiferum album but stand out on none. The swaying orchestra in its center carries cinematic heft – in fact, its presence is beefed up over the course of the record – even if much of the track is throwaway. “Way of the Warrior” likewise would slot in well on OMA‘s A-side. Its classic Ensiferum sound suffices though the rally at the finish leaves you wishing the whole thing sounded that good. “King of Storms” and “Feast of Valkyries” succeed as a twin pairing. The former is the best ripper on the album, while “Feast” finally finds mug-hoisting strength as now-permanent lass Netta Skog (ex-Turisas) handles mic and accordion both.1 Buried in that catchiness is the core of Two Paths‘ concerted shift toward folkdom. Don’t get me wrong: despite its struggles, this is still a metal album, even if folk rock fare “Don’t You Say” sounds a lot more like Eluveitie than Finntroll. The track settles into ill-fitting earworm territory, while chorus-heavy “I Will Never Kneel” and accordion-laden “God Is Dead” never come close to evoking air-triplets the way “Deathbringer from the Sky” might. It feels as if the goalposts shifted after OMA, with Ensiferum aiming instead for something neutered, more subtle and palatable. That the metal aspects don’t land only heightens this impression. Call it a focus shift, chorus-centricity, or simply a cask of riffs that finally kicked, little of Two Paths trends above average. The album also steps back from Petri Lindroos’ harsh vocals, further muting the uproarious nature of years past. Typically, I might reward clean vocal experimentation or individual deviations like the accordion-rock styling of “God Is Dead.” Yet in light of Ensiferum‘s past in successful experimentation, from “Stone Cold Metal” to “Celestial Bond” to “Two of Spades,” the attempts of Two Paths come up short. The lowlight cleans of Markus Toivonen and Sami Hinkka on “Two Paths” and “God Is Dead” deserve to be buried far, far underground, guarded by as many runes and trap cards as the folk community can muster. However, I find nothing transcendent about the mid-tier gruff of “I Will Never Kneel” or Skog’s showings either. Neither scuffle horribly, but neither brings me back like Laura Dziadulewicz’s performance on Unsung Heroes. What’s more, the album’s production is not all that great – loud, clipped, and popping with regularity from start to finish. 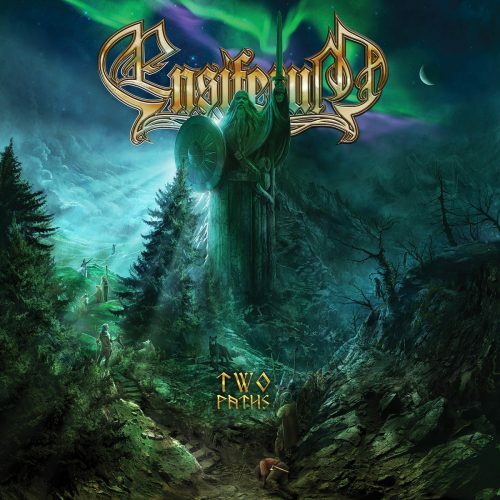 Warm bass and gorgeous orchestral treatment aside, if Ensiferum want to take a page from Eluveitie‘s book, it should be one on production. I would be lying if I said Two Paths had not grown on me over the course of the week, if only slightly. But every time foobar shuffles onto Ensiferum or Victory Song, Two Paths‘ dearth of vibrancy and gusto become all the more apparent. The record never throws an “Ahti” dance party or ambushes a poor band of voyaging red shirts to “Battle Song.” It never offers much reason to pluck it from a catalog teeming with hits. Instead, Two Paths marks Ensiferum‘s first real slip down the bald rock face of Diminishing Recordings. I can only pray they find their footing quickly. Ensiferum – New Album Details Confirmed!